Q. About five years ago, my work transferred me out of state. At the time, I was attending my local Catholic church, which was clustered with two other parishes. We had a vibrant Catholic community with Masses each day of the week, weeknight Bible study and prayer groups and, on weekends, multiple Masses from which to choose. Now, having recently retired, I have moved back to the same area, but the difference from five years ago is stark and alarming. The two parishes we were clustered with have closed, we have Mass on only two weekdays and no “extracurricular” groups. On weekends, we have only one Mass on Saturday and one on Sunday, and we no longer have confessions on Saturdays. Sometimes the priest fails to show, without sending a replacement; the eucharistic ministers distribute Communion to a stunned crowd and then we all go home. One obvious solution is to pray for priestly vocations and to encourage them among people you know; some are evidently doing that, since seminary enrollments are beginning to creep upward. Some things you mention, though, need not be happening. Confessions should be available every weekend; even if few people go, the posted confessional hours stand as a reminder that the sacrament of penance should be a regular and beneficial part of a Catholic’s life. Regarding “extracurricular” activities — like prayer groups and Bible study — what you might do is to round up a few like-minded friends and just begin; you don’t need a priest for those, and ample printed material is available to guide your discussions. As for the priest not showing up for Mass, I don’t, of course, know the reason; priests are aging and so it may be a health issue. You might decide to speak directly to the priest, telling him how unsettling this is for parishioners, or you could contact your diocesan office to be sure that they are aware of the situation. Perhaps the diocese could provide a retired priest as a replacement when needed. 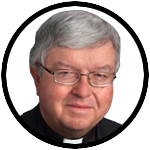 Q. I am a practicing Roman Catholic who reads the Catechism of the Catholic Church daily. I also read the Quran, to try to understand what the Islamic faith teaches. In the catechism, No. 841 states that the creator of the heavens and the earth is the same creator as the Islamic faith worships (Allah). As you validly point out, the Quran has no vision of God as Trinitarian and states specifically that Allah has no sons or daughters. But for two people to describe an object differently does not mean that they are describing two different objects. So to say that Judaism, Christianity and Islam are all Abrahamic religions does not mean that they are equally true or speak of God with the same degree of accuracy or that God doesn’t care what we call him. It means instead that all three faiths are pointing to, offering worship to and attempting to describe the same reality, namely Abraham’s God: One God alone who is sovereign Lord, to whom all must be obedient and who embodies what is ultimately most important for someone’s life. Perhaps if the RCC, along with some ultra conservative members, clergy and bishops in the UMC, and Southern Baptists ventured into the 21st century they would see their churches grow, exponentially. The only churches that are seeing full pews are the mega churches that offer entertainment, large choirs, with orchestras. Some of these mega churches offer programs that help young mothers, such as low cost, but trustworthy day care. You can give lip service to a pro life stance, but you must help poor young women raise their children, by offering day care and food banks.